Attorney Ruthanne Beighley chairs the Buhl Regional Health Foundation. As chair, Attorney Beighley: Partners with board members and the Executive Director to lead the organization and achieve the Foundation’s mission; Prepares for and chairs board meetings; Establishes and assigns members to committees; Addresses board goals and work plans; Assures the board of its compliance with by-laws and any state, local and federal laws pertaining to governing the board of directors; And serves as the spokesperson for the Foundation. 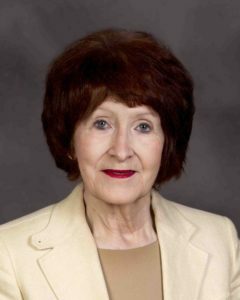 Attorney Beighley has retired as General Counsel for Joy Cone Co., Hermitage, and continues to operate a private law practice limited to estate planning and administration, wills and trusts. Attorney Beighley is a frequent speaker on estate planning and family law topics. Recent community participation includes co-chairing with her husband, Joseph A. George, a United Way of Mercer County Campaign; board memberships of the Primary Health Network Foundation, Community Counseling Center, Shenango Valley Urban League, and The Sanctuary, Inc. She served as Chair of the Thiel College Board of Trustees and has been named a Trustee Emerita. Previously, Attorney Beighley served as president of the Sharon College Club, president of the Quota Club of Sharon, and president of the Greenville Area United Way. Honors include the Distinguished Citizen Award, French Creek Council, Boy Scouts of America. Attorney Beighley earned a law degree from the University of Pennsylvania Law School and a BA in Philosophy from Thiel College. James E. Feeney retired as chief operating officer in 2001 from Wheatland Tube Corp., Wheatland, PA. He was with the company for 41 years. Some of Mr. Feeney’s extensive community leadership and involvement includes: 41 years on the board of Sharon Regional Medical Center, including 14 ½ as chair; F.H. Buhl Trustees Buhl Park Corporation; Shenango Valley Foundation; United Way of Mercer County; PA Economy League; Shenango Valley Chamber of Commerce; and being a co-founder of Penn Northwest Development Corp. Some honors for Mr. Feeney include: Buhl Day Honoree in 2013; Distinguished Citizen Award, French Creek Council, Boy Scouts of America; Thiel College Distinguished Service Award; Knight of St. Gregory from Pope Benedict VI; Shenango Valley Chamber of Commerce—Person of the Year; Sharon High School Alumni Hall of Fame; and the Henry and Catherine Evans Community Service Award. Mr. Feeney earned a BS in Business Administration from Youngstown State University and served three years in a U.S. Army Artillery Nike Guided Missile Program. Angela Palumbo is retired from state employment at the Pennsylvania CareerLink Mercer County after 34 years of service including the last 15 years as administrator. She also held the position of Manager of State Employment staff at CareerLink for the Department of Labor, Bureau of Workforce Development Partnership. 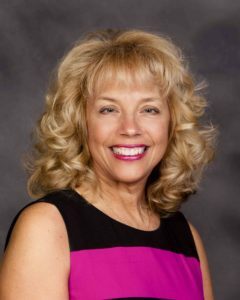 Ms. Palumbo’s numerous community service commitments include board memberships presently with the United Way of Mercer County, Sharon Regional Health System, Christian H. Buhl Legacy Trust, MCAR, ARC Foundation, and the Hermitage Community and Economic Development Commission. Ms. Palumbo graduated from Bradford Business College, Pittsburgh, and also completed the Pennsylvania Department of Labor and Industry’s Management Development Institute and the Pennsylvania State University’s Workforce Development Training Program. Kenneth R. James is chief financial officer at Windsor House Inc., a group founded in 1959 and today operates 11 skilled nursing homes and four assisted living centers in northeast Ohio and northwest Pennsylvania. Mr. James oversees Medicaid reimbursement, financial planning and financing. 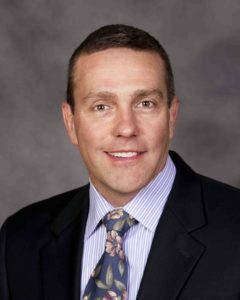 He previously served as a board member of First National Bank of PA, Sharon Regional Health System, and the non-profit organization Community Skilled Nursing Centre, Warren, OH. Mr. James also belonged to the Ohio Society of Certified Public Accountant’s and the American Health Care Lawyers Association. Mr. James earned a BS in Business Administration with majors in Accounting and Economics and a minor in Finance from Youngstown State University. Attorney James P. Epstein retired in 2008 after serving 22 years as District Attorney of Mercer County. Attorney Epstein previously served 10 years in that office as first assistant district attorney and assistant district attorney. He currently is a volunteer assistant district attorney/consultant in the Mercer County office. Extensive involvement in the community for Attorney Epstein includes: Mercer County Bar Association; President, ARC of Mercer County Board of Directors; MCAR Board of Directors; Mercer County Human Rights Committee; Chair, Sharon Regional Health System Advisory Board Quality Review Committee; Area on Aging Board Member; George Junior Republic Board Member; and is a trustee emeritus, Community Library of the Shenango Valley. Attorney Epstein earned his law degree from the University of Pittsburgh School of Law and a BA in History from Westminster College. 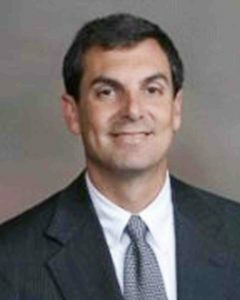 Mark Ferrara retired in 2018 as superintendent of the Greenville Area School District, which has 1,400 students and 194 employees. Mr. Ferrara launched “Pennsylvania Business Week, an experience for seniors. The A.C.E.S. of Erie named Mr. Ferrara “Educator of the Year 2014.” He previously held a similar position with the Sharpsville Area School District, was director of curriculum for the Neshannock School District, and was principal at George Junior Republic, Grove City. Board memberships include Joshua’s Haven, Penn State University Advisory Board, Greenville Rotary Club, Greenville Kiwanis Club, and George Junior Republic. Mr. Ferrara’s is certified to be a superintendent, assistant superintendent, elementary principal and secondary principal. He earned a Masters of Education from Westminster College, a degree in Vocational Director Studies from California University of Pennsylvania, and a BA in Education from Kent State University. 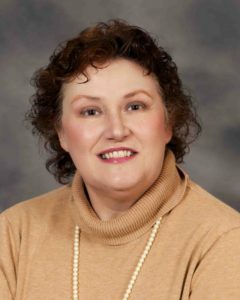 Lizette Olsen, MS, is Executive Director of AWARE, Inc., a Mercer County-based victims services agency. AWARE provides a broad menu of crisis, emergency and supporting services for all victims of domestic and sexual violence, 24/7. Ms. Olsen served as Vice President of Education and Training for Planned Parenthood of Maryland, serving (20) counties. She was the program director of Women’s Health Advantage, a 4 county, CDC-funded breast and cervical cancer program based in Youngstown, Ohio. Throughout her career, she has augmented non-profit, community work with lecturing at different institutions including John Hopkins Bloomberg School of Public Health, University of Maryland Graduate School of Social Work, Youngstown State University, and NEOUCOM. Ms. Olsen earned a MS in Health Education and a BA in Liberal Arts from the Pennsylvania State University. Joann Bisson currently is a management consultant for medical practices on a limited basis. 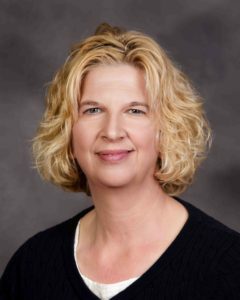 Ms. Bisson most recently volunteered at the non-profit Sharon Regional Health System in its Physicians Services division where she consulted with physicians and the director of Physicians Services to improve daily operations. 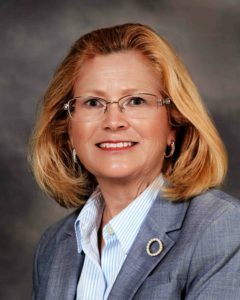 Previously, Ms. Bisson was Secretary of the former Sharon Regional Health System Auxiliary Board and was a board member for AWARE, Inc. Extensive professional experience for Ms. Bisson includes being Co-Founder and President of Medical Monetary Consulting, Inc., and a practice management consulting company. Ms. Bisson also studied at the Cleveland Clinic and attended Akron University and the Ohio State University. Mary Ann Daniels is chief executive director of the Mercer County Behavioral Health Commission. The commission serves on behalf of Mercer County for integrated mental health and intellectual disability administration, intake and case management functions with a staff of 100 persons and annual budget of $12 million. 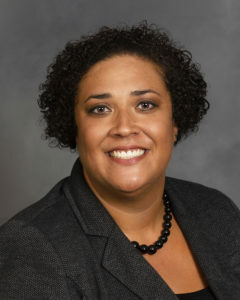 Ms. Daniels previously served as executive director of the Erie County Office of Children and Youth, director of Mercer County Human Services, and human services associate director of Crawford County Human Service. She earned a Masters of Education in Educational/School Psychology and a BA in Early Childhood Education and Psychology from Edinboro University. George C. Garrow, M.D., is Chief Medical Officer (CMO) for the Primary Health Network. Primary Health, a Federally Qualified Health Center, provides primary care services and access to specialty care commensurate with the needs of the people in 16 counties. 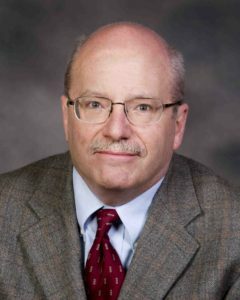 Previously, Dr. Garrow was Director of Medical Oncology and Director of Hospice at Sharon Regional Health System and CMO for Western Maryland Health System. Dr. Garrow earned his medical degree from the Pennsylvania State University College of Medicine Milton S. Hershey Medical School and a BAS from the University of Pennsylvania School of Engineering and Applied Science. Post-doctoral training includes pursuing a Masters in Medical Management from the American College of Physician Executives and serving an American Cancer Society fellowship in medical oncology and a medical oncology fellowship from Vanderbilt University Medical Center. Stephen J. Gurgovits was elected Chairman of the F.N.B. Corporation board in January 2012 and has been a First National Bank of Pennsylvania director since 1981. Mr. Gurgovits served as Chief Executive Officer in every year from 2004 until January 2012, and was previously Chairman of the Executive Committee. Mr. Gurgovits began his banking career with F.N.B. in 1961, serving in various capacities with the company. 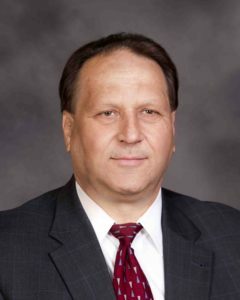 A recognized community leader in economic development, Mr. Gurgovits currently serves or previously served on the boards of various educational, developmental, and health care organizations, including Penn-Northwest Development Corporation and the Community Foundation of Western Pennsylvania and Eastern Ohio. Mr. Gurgovits is a member of the F.H. Buhl Trustees and of the Youngstown State University Foundation board. 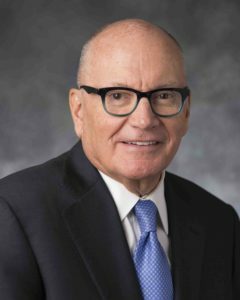 He is also a member of the Board of Directors of Joy Cone Co. and BP Trucking Inc. Mr. Gurgovits has served as Chairman of the Pennsylvania Bankers Association and was a director of the American Bankers Association. He is a member of the American Banker Council. Mr. Gurgovits is a graduate of Youngstown State University and completed the Graduate School of Banking at the University of Wisconsin. John M. Hudson is founder and President of the Hudson Companies, a group of Hermitage, PA based real estate investment and development companies, and general contractor. The foundation of the enterprise began with commercial construction, and currently specializes in educational facilities in Pennsylvania and eastern Ohio. As a developer, Hudson has business properties throughout Pennsylvania that serve the state and federal government, as well as private sector clientele. Mr. Hudson also spearheaded growth through reinvestment opportunities in upscale multi-family holdings in Florida and Texas. 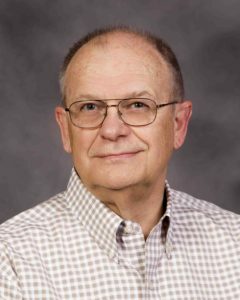 Mr. Hudson is on his second term and currently serving as Vice Chair on the Thiel College Board of Trustees, where he is a member of the Executive Committee and is the Chair of the Facilities, Physical Plant, and Information Technology Committee. 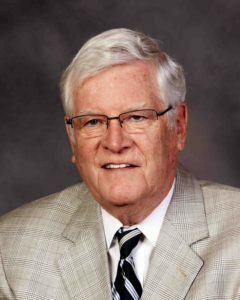 He is serving as the current Chair of the Christian H. Buhl Legacy Trust, and was a two term president and is a current board member for the F.H. Buhl Club. He is a board member and Chair of the Nominating Committee for the Catholic Charities Adoption Agency of Mercer County. He was past president and served as a board member of the Prince of Peace Mission, and also served as a board member for Penn State Shenango, both for nine year terms. 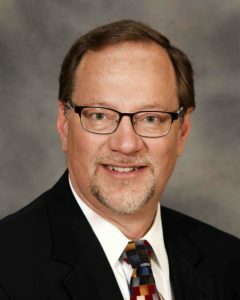 During his years of service as a board member for Sharon Regional Health System, he was the Chair of Governance and Nomination, Vice Chair, and Chair of the Health System. He was also a past board member for Kennedy Catholic High School, Shenango Valley Industrial Development Corporation, Penn Northwest Development Agency, Sharon Historical Society, and the United Way of Mercer County. Mr. Hudson also serves as a Director on the Synergy Insurance, Inc. Board of Directors, and is also a shareholder. Honors include: Haller Enterprise Institute Entrepreneur of the Yar Award from Thiel College; Gannon University’s Small Business Award; Distinguished Citizen Award, Boy Scouts of America French Creek Council; Shenango Valley Chamber of Commerce’s Volunteer of the Year Award; and the Caritas Award, the Bishop of the Diocese of Erie’s annual award for charity. Mr. Hudson was also a finalist for the Ernst and Young Entrepreneur of the Year Award for the Pittsburgh/Western Pennsylvania Region, and the Katz School of Business Western Pennsylvania Family Business of the Year Award. As the founding member of the Hudson Charitable Trust Fund, Mr. Hudson initiated the first International adoption through an American family, resulting in 15 subsequent adoptions. Rev. Dr. Glenn M. Hink has been the senior pastor at First Presbyterian Church of Sharon since 2001. The church was founded in 1844, “First Church” is a growing center for mission and arts in the Sharon community. Rev. Dr. Hink is on the Board, and past President, of the Sharon Rotary Club. He also currently serves on the Community Food Warehouse Board, the French Creek Council of Scouting BSA Board, and the Sharon-Hermitage Clergy Association Board. He is the chair of the Sharon Schools Back Pack Food Program, and has served in various leadership capacities in the Presbytery of Shenango. Rev. Dr. Hink has also been involved in urban missions to Cleveland and Pittsburgh, rebuilding missions to Louisiana, and foreign missions to the Philippines, Ghana, Mexico and Sudan. Rev. Dr. Hink and his wife Jeanne, have 6 children, and 6 grandsons. Lew G. Kachulis, CPCU, CIC, CWCA, is president and co-owner of Gilbert’s Risk Solutions, a risk management and insurance agency of more than 150 years in Sharon. Mr. Kachulis has served on the following community boards of directors: American Cancer Society; Buhl Park Corp.; Buhl Community Recreation Center; John XXIII Nursing Home; Keystone Blind Association; Penn-Northwest Development Corp.; Salvation Army; and the United Way. Personal honors include being recognized as one of the “25 Most Innovative Agents in America” by the National Alliance for Insurance Education and Research. 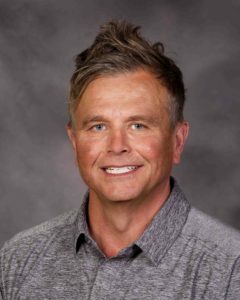 Mr. Kachulis earned a Master’s in Business Administration from the Case Western Reserve Whitehead School of Business, earned both the CPCU (Charter Property Casualty Underwriter) and CIC (Certified Insurance Counselor) designation, and earned a Bachelor’s in Economics from the University of Michigan. Riley Smoot, Jr. retired December 2015 after serving for 36 years as a police officer, including 13 as Chief of Police for the Southwest Regional Police Department. During his tenure as chief, Southwest Regional increased in size and secured several “COPS” grants that allowed the department to stave off layoffs and hire additional officers. As an officer, Mr. Smoot held positions of juvenile officer, detective, patrol sergeant, school resource officer, and DARE officer. He was involved with the Sharon/Farrell Communities that Care grant program and worked in the Farrell Schools as a Family Center Specialist. Mr. Smoot is currently the School Resource Officer for Farrell School District. Mr. Smoot served on the PA State Advisory Board for Communities That Care and the Sharon-Farrell’s Weed and Seed Grant Program. He also served on the PA State Weed and Seed Law Enforcement Committee. Grants of more than $1.5 million supported numerous school, police and athletic programs initiatives in the Sharon – Farrell communities. Among his community boards are: Shenango Valley Urban League; City of Farrell Recreation Board; United Way of Mercer County; Mercer County Criminal Advisory Board; Mercer County Communities that Care Advisory Board; and the Mercer County Community Health Partnership Board. Mr. Smoot has been a PIAA official in both basketball and football since 1987. 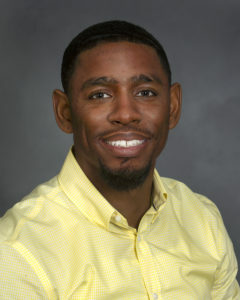 Mr. Smoot attended Milliken University and Penn State University-Shenango campus. 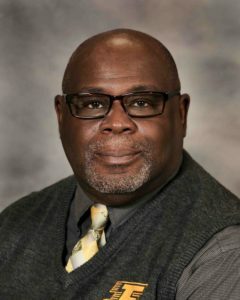 Michael L. Wright served as President/Chief Executive Officer of the Shenango Valley Urban League for 10 years until retiring in August 2015. Previously for 22 years he was executive director of the Community Food Warehouse of Mercer County, a non-profit food bank affiliated with the national organization Feeding America. Mr. Wright received numerous awards for community service including the NAACP Image Award and the Paul Harris Fellow Rotary International Award. He is a current board member of the Farrell Planning Commission and served on the boards of the Laurel Technical Institute, the Farrell Area School District Board of Education, the FEMA Board, and State Food Purchase Board of Mercer County. Autumn L. Johnson, Esquire, is an Assistant Public Defender at the Mercer County Public Defender’s Office. As an Assistant Public Defender, Attorney Johnson is responsible for representing adults and juveniles charged with crimes within the boundaries of Mercer County. Attorney Johnson serves as a Guardian Ad Litem in family law cases and is a team member of the Mercer County Veteran’s Court program. Attorney Johnson is also an active board member of the Shenango Valley Urban League, a volunteer in her hometown community, Whitsett, PA, and a volunteer for the “Wills for Heroes” program, a free estate planning service for first responders and veterans sponsored by the Young Lawyers Division of the Mercer and Pennsylvania Bar Associations. Previously, Attorney Johnson was employed as a staff attorney for Northwestern Legal Services in Farrell, PA. She is a former volunteer for the Mercer County Literacy Council as a GED tutor and a former member of the Community Court program for the Sharon-Farrell area, a diversionary program through the Mercer County Juvenile Probation Department for first time juvenile offenders. Attorney Johnson earned a Bachelor’s degree from Slippery Rock University in Sport Management and a Law degree from the Widener University Commonwealth Law School in Harrisburg, PA. She is admitted to practice law before the Pennsylvania Supreme Court, the United States District Court Western District of Pennsylvania and the United States Supreme Court. She is an active member of both the Mercer County and Pennsylvania Bar Associations. 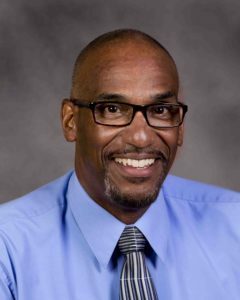 William “Bill” Dungee II is the Director of Business and Finance for Penn State University’s Shenango Campus in Sharon, Pennsylvania. He is charged with the financial oversight and management of the camps 7.5-million-dollar budget and he also oversees all the business operations of the campus including; business services, facilities operations, foods service and IT operations. Before coming to Penn State Shenango, Bill served as the Business Manager for the Farrell Area School District. Bill is a 2000 graduate of Farrell Area High School where he was a standout athlete and honor student. Bill then went on to further his athletic and academic career at Allegheny College in Meadville Pennsylvania, where he was a four-year starter for the Gators men’s basketball team. Bill graduated from Allegheny College in 2004 with a Bachelor of Arts degree in Managerial Economics. Bill later obtained his master’s degree in Business Administration in 2014 from Youngstown State University. Bill is extremely active in his community as he volunteers his time by serving on numerous boards and speaking to youth and men’s groups. In 2014, he was given the Mercer and Lawrence County Chamber of Commerce 40 Under 40 award. This award is given to individuals who have had outstanding accomplishments and made a considerable impact on their local community before the age of 40 years old. Bill is also an active member of his local church, as he is an ordained minister and the founder and leader of R.U.F.F. (Real-men Unified Faith Fellowship) at Victory Christian Center, Liberty Campus, located in Youngstown Ohio. R.U.F.F. challenges men to be the type of father, son, husband, brother, uncle, etc., that will have a positive impact on society. Bill also serves as a high school football coach for Sharon City schools, where he mentors and leads young men; not only on the football field but also in life in general.